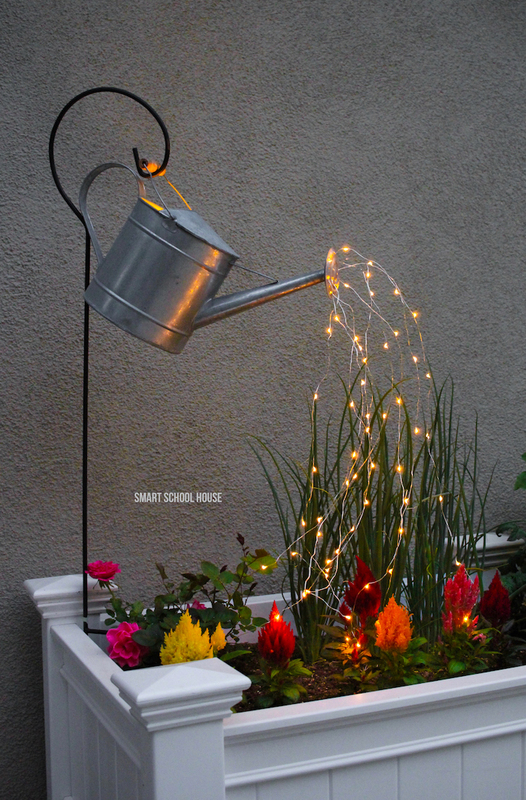 Last year we had a lot of fun making a watering can with fairy lights. This year, I decided to add a watering can centerpiece to our backyard for some additional fun. 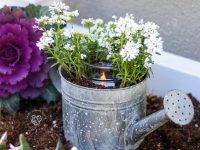 This can be used as garden decor or it can be used on a table. It’s just so adorable! 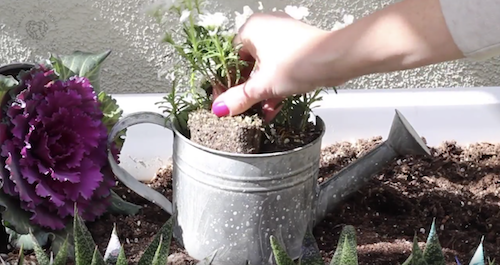 This DIY watering can centerpiece definitely stands out! 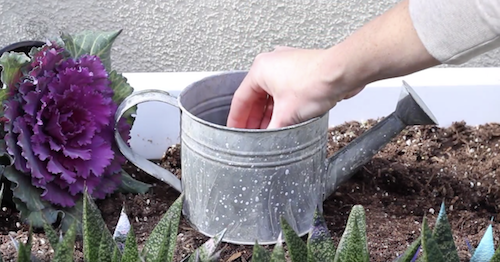 I purchased a decorative watering can from a craft store. 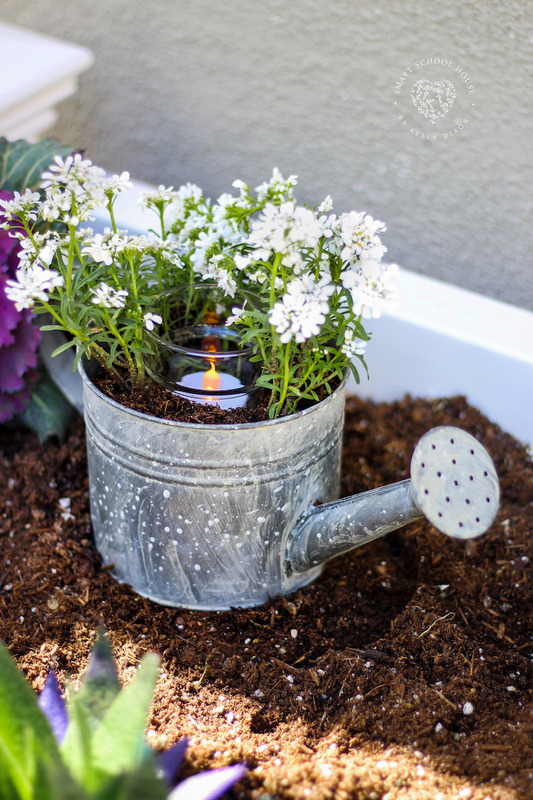 It still works as a normal watering can would, but it’s just a bit smaller. 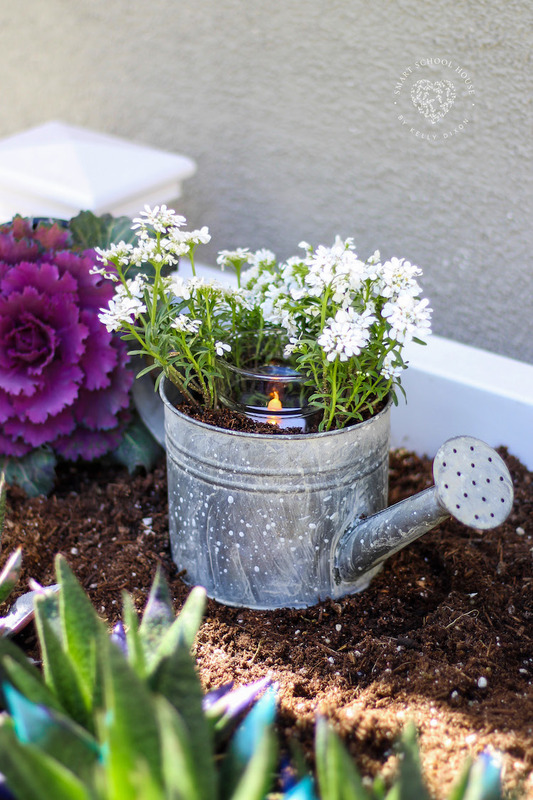 Whether you choose to use a decorative watering can or a real size one, the results will be equally as pretty. 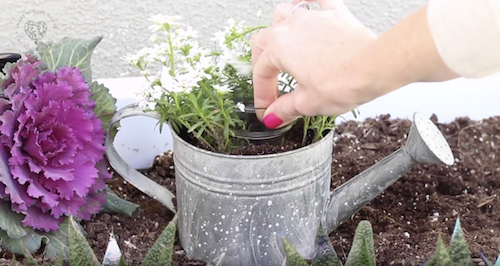 Optional: If you’ll be using the watering can as a planter, be sure to drill small drainage holes at the bottom of the can. If it’s just for short term use as a centerpiece on a table, the holes aren’t necessary. 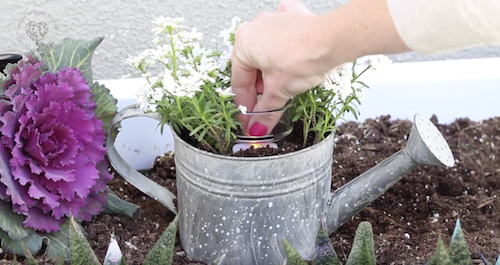 Turn on the switch and watch the watering can come to life with a gentle candlelit glow. 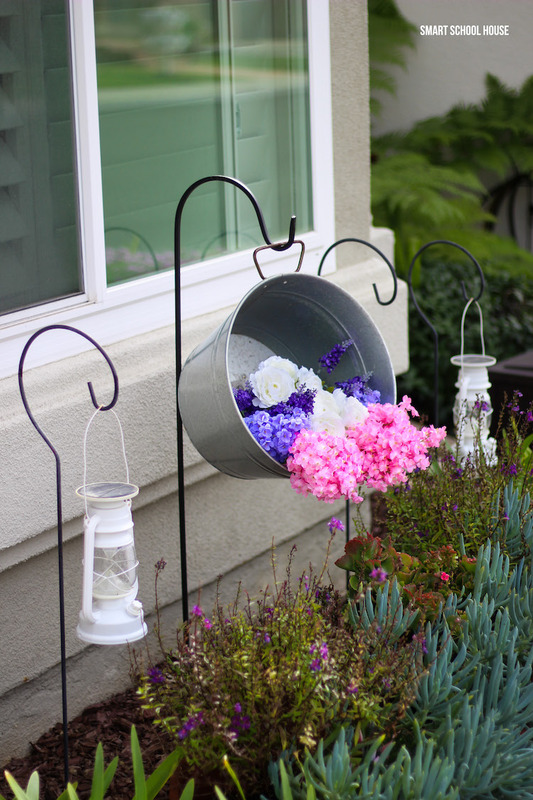 Looking for other garden decor ideas?